no one is lying. the doctors are women. no one. The doctors are his sisters. 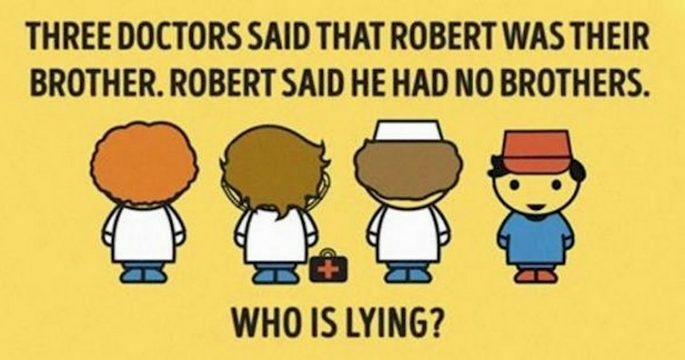 All three doctors have brothers named Robert, but this Robert is not one of them. This Robert has no brothers. So no one is lying. None of them are lying. Either all of the doctors are female or while all of the doctors may each have a brother called Robert, none of them are related to the Robert in the riddle.